Sori at apex of ultimate segments; involucre deeply cleft; receptacle included or exserted. ± 250 species throughout the tropics and temperate zone. Hymenophyllum acutum (C.Presl) Ebihara & K.Iwats. 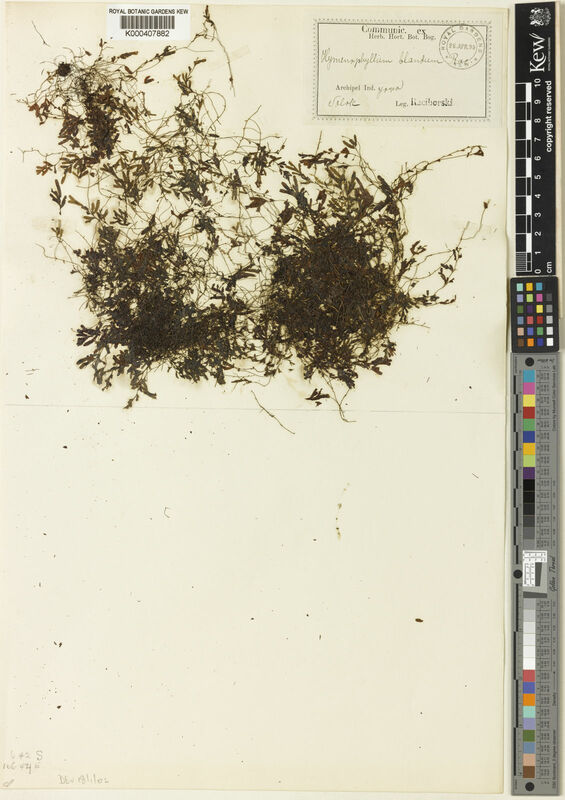 Hymenophyllum applanatum (A.M.Gray & R.G.Williams) Ebihara & K.Iwats. 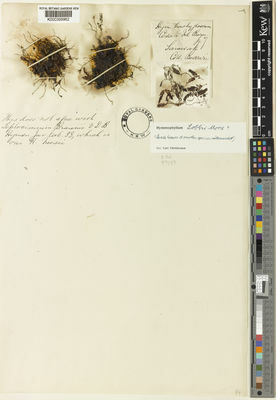 Hymenophyllum assurgens M.Kessler & A.R.Sm. Hymenophyllum braithwaitei Ebihara & K.Iwats. Hymenophyllum cristatum Hook. & Grev. 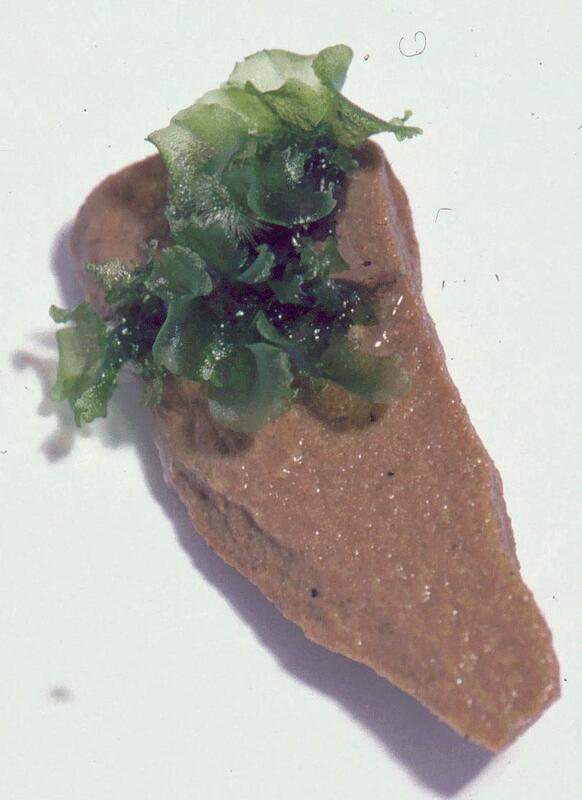 Hymenophyllum filmenofilicum Christenh. & Schwartsb. 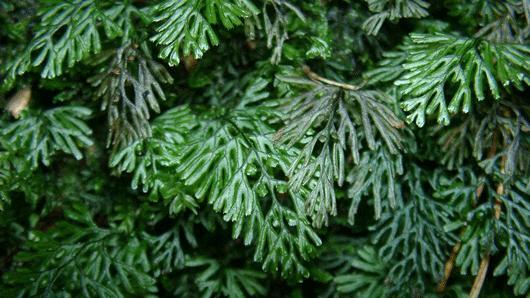 Hymenophyllum francii (Christ) Ebihara & K.Iwats. Hymenophyllum fumarioides Bory ex Willd. 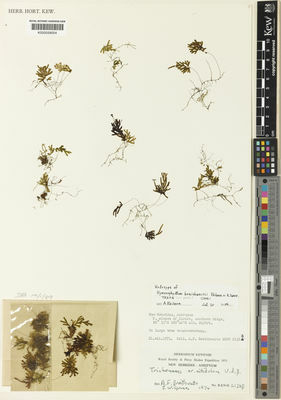 Hymenophyllum hemidimorphum R.C.Moran & B.Øllg. 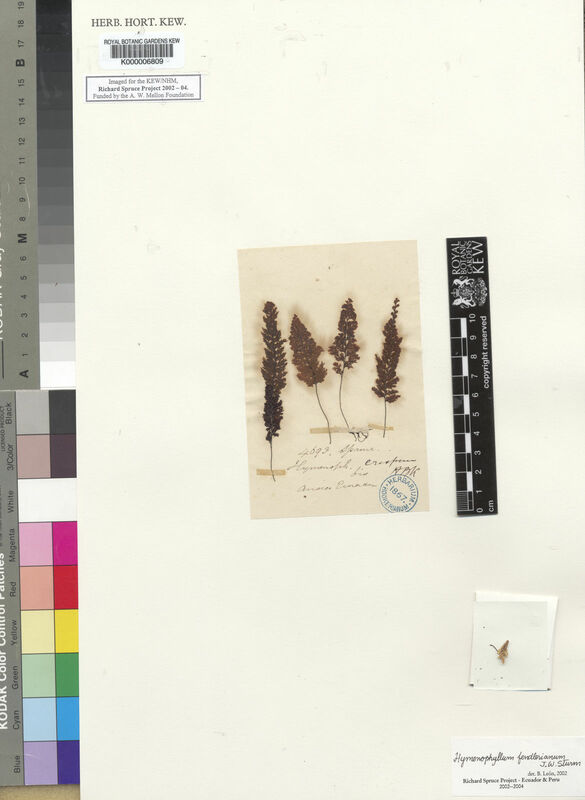 Hymenophyllum lanceolatum Hook. & Arn. Hymenophyllum latisorum M.Kessler & A.R.Sm. Hymenophyllum longissimum (Ching & Chiu) K.Iwats. Hymenophyllum marginatum Hook. & Grev. Hymenophyllum nahuelhuapiense Diem & J.S.Licht. 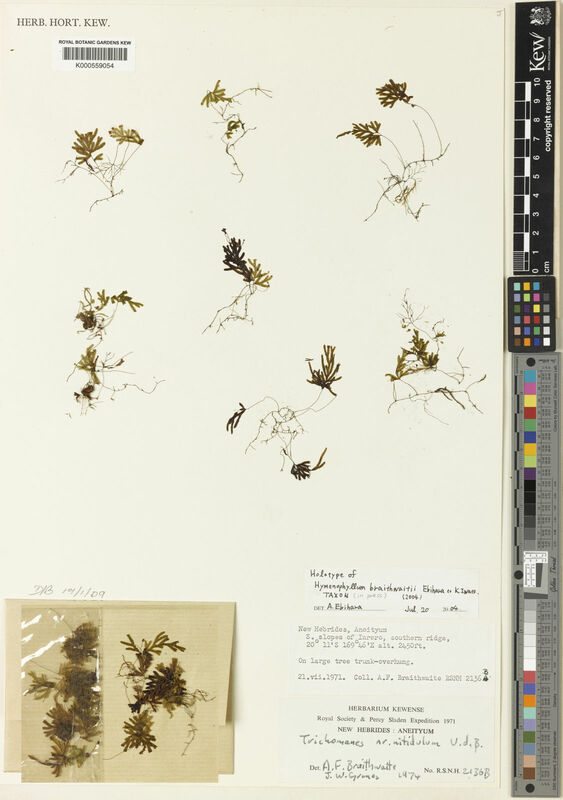 Hymenophyllum nitidulum (Bosch) Ebihara & K.Iwats. Hymenophyllum obtusum Hook. & Arn. 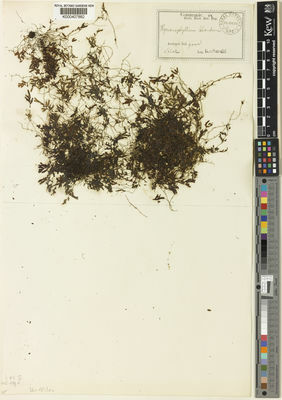 Hymenophyllum palmatifidum (Müll.Berol.) Ebihara & K.Iwats. Hymenophyllum paniense Ebihara & K.Iwats. Hymenophyllum plumieri Hook. & Grev. Hymenophyllum pulchellum Schltdl. & Cham. Hymenophyllum quetrihuense Diem & J.S.Licht. Hymenophyllum sampaioanum Brade & Rosenst. Hymenophyllum secundum Hook. & Grev. 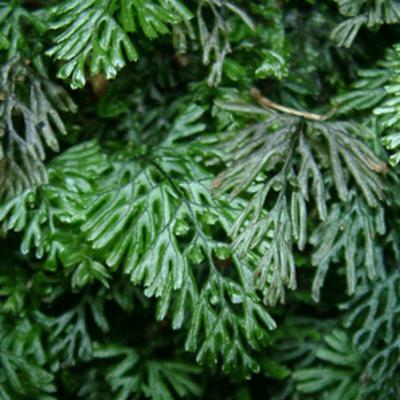 Hymenophyllum stenocladum (Ching & Chiu) K.Iwats. Hymenophyllum tomaniiviense (Brownlie) Ebihara & K.Iwats. Hymenophyllum tortuosum Hook. & Grev. 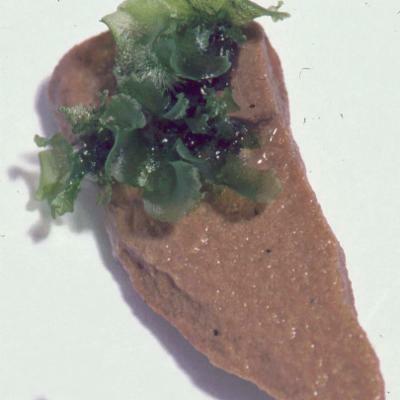 Hymenophyllum trichophorum (Alderw.) Ebihara & K.Iwats. Hymenophyllum × tucuchense (Jermy & T.G.Walker) C.D.Adams & Baksh.-Com. Hymenophyllum ulei Christ & Giesenh. Hymenophyllum umbratile Diem & J.S.Licht. Hymenophyllum valvatum Hook. & Grev.